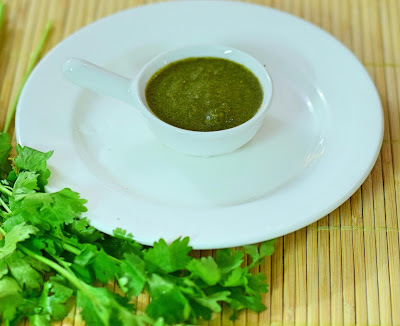 Green chutney is made with mint and coriander leaves. This chutney is used in most chaat items like Bhel Puri, Dahi Puri, Ragda Patties etc. 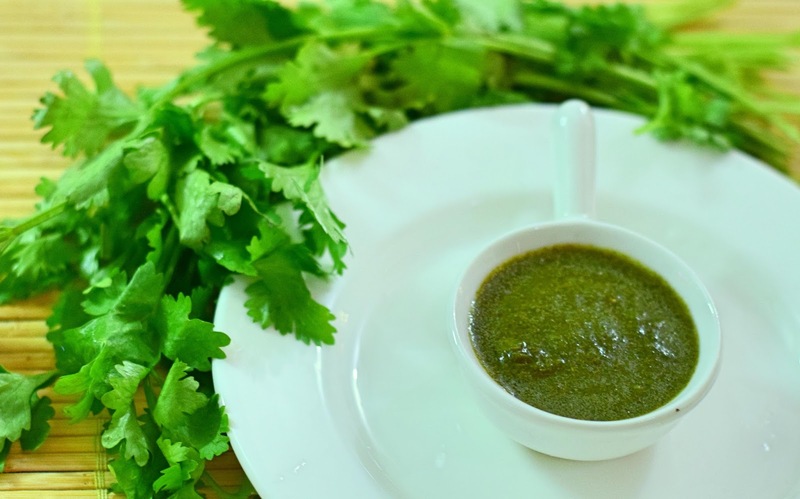 If you like chaat items, you should learn to make this chutney. You can store this chutney in the freezer for 2 weeks. 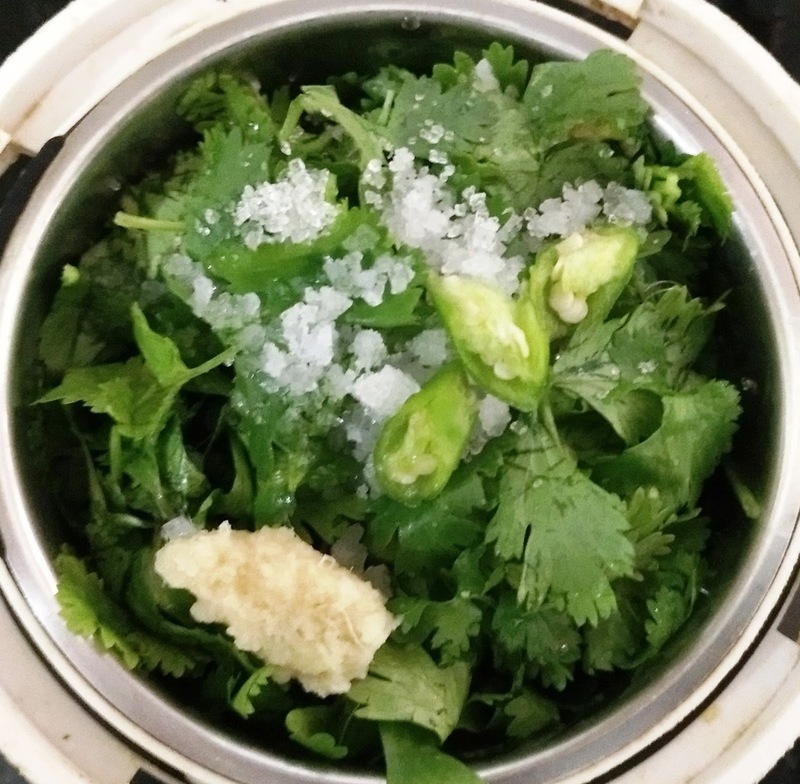 You could use only mint leaves also, but here I have used more of coriander leaves and lesser mint leaves as it gives a bitter taste at times. 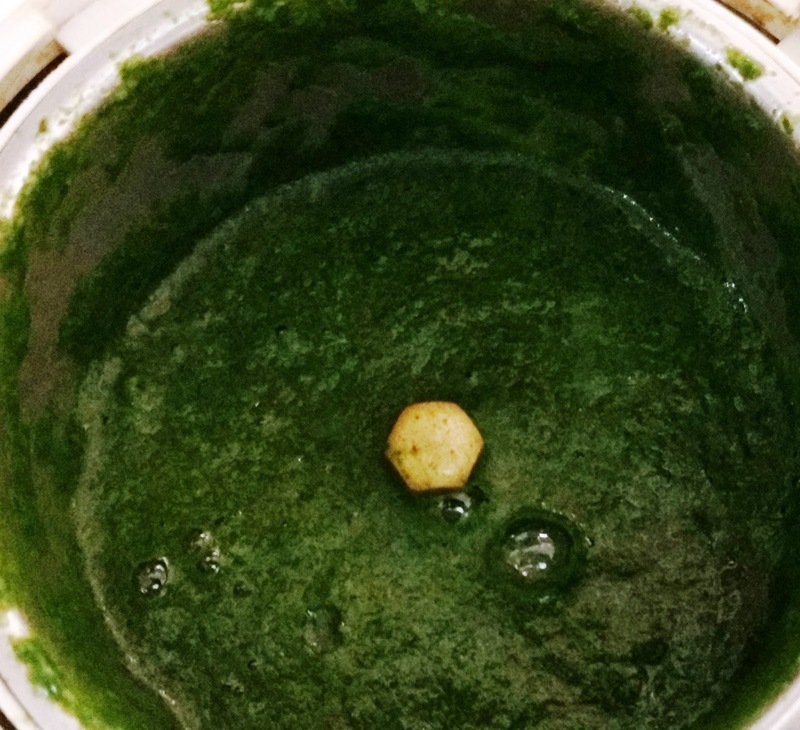 Grind everything together in a mixer to a fine paste adding little water.